William K. Vanderbilt (1849-1920). His image was and still is often confused with the profile of his son. What was his association with the Vanderbilt Cup Races and/or Long Island Motor Parkway? William K. Vanderbilt was the father of William K. Vanderbilt, who created the Vanderbilt Cup Races, and a major investor in the Long Island Motor Parkway. When and why was this illustration published? 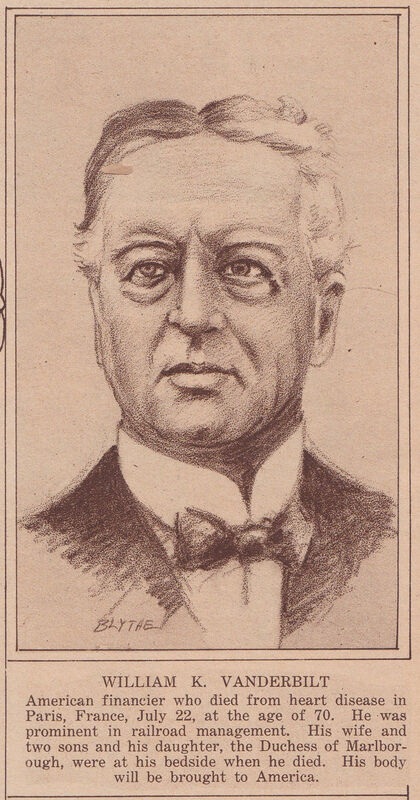 Mid-Week Pictorial, then owned by The New York Times, used the illustration to annouce William K. Vanderbilt's death. Congrats and kudos to Brian McCarthy for recognizing Willie K's father William K. Vanderbilt in the Mystery Foto. Mystery Foto #46… The person in the rendering is none other than William K Vanderbilt II. 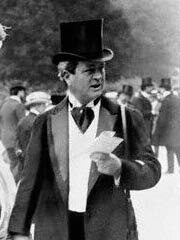 He, of course, was the founder of the Vanderbilt Cup races as well as the builder the L.I. Motor Parkway. Not sure when and why this pic was published in the “Mid-Week Pictorial”. My research turned up nothing. I will guess it was at the time of his death in January 1944. 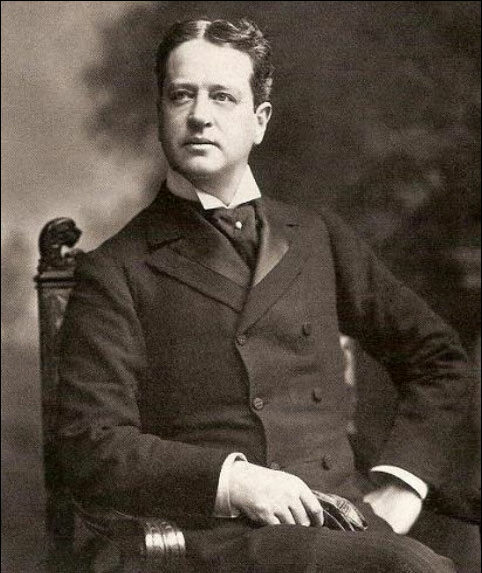 Here to say this is William Kissam Vanderbilt 1, father to William Kissam Vanderbilt 2.